A mobile augmented reality game using local government datasets to create a simple 'Dungeons and Dragons' hack and slash fest. This is about raising awareness of bins as public assets. If you fork or download the code you'll need to feed your server side database. The easiest way is to use the mongorestore function (the dump is in the data/mongodb-backup directory). To achieve this we have used GCC and HCC datasets relating to the locations of public assets. These public assets form the basis for monsters which interact with players. 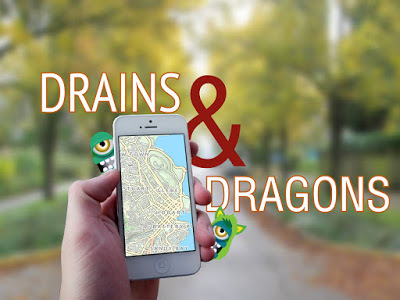 Drains and Dragons, an adventure in trash and time.